A boozed-up motorist registered just over three times the drink-drive limit after she was stopped by police following a tip-off from a member of the public. 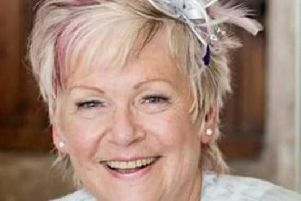 Chesterfield magistrates’ court heard on Friday, on August 26, of Jane Louise Williamson, 56, of Northwood Avenue, Darley Dale, Matlock, was spotted by police attempting to reverse as she collided with a parked vehicle and she had slurred speech. Prosecuting solicitor Becky Allsop said: “Police were contacted by a member of the public who reported that they had seen a drink-driver. Police revealed that Williamson had slurred speech and appeared drunk, according to Mrs Allsop, and the defendant registered 123microgrammes of alcohol in 100millilitres of breath when the legal limit is 35microgrammes. Williamson pleaded guilty to exceeding the alcohol drink-drive limit after the incident on August 7. The probation service explained that Williamson had drunk a bottle of wine but she had felt she was okay to drive because she has a high alcohol tolerance level. Williamson also revealed to the probation service that she drinks when she is faced with difficulties and following a family argument she had drunk to excess. Mr Mather added that Williamson who works as a student support teacher at a school and works at a shop has been concerned how the offence may affect her employment. Magistrates sentenced Williamson to a 12 month community order with a Rehabilitation Activity Requirement and an Alcohol Treatment Requirement. She was also given a three-month curfew and ordered to pay £85 costs and an £85 victim surcharge. Williamson was also banned from driving for 30 months.